Applies to clients with prior microblading post 1- 1.5yr from initial application. Choosing the correct color, shape, and thickness for your brows that would be fitting for skin tone and face shape. This service includes the touch up to follow 6 -8 weeks later. When we want both- the Combo always looked good. A little fun with glitter. So subtle to wear in the day and fun for a night out. Adds that sparkle to your eyes. Full on voluminous fullness. This is the most dramatic look. A 45 minute classic application as an introduction for first time wearers. 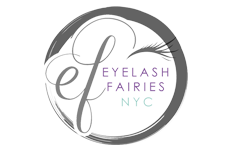 Within 2 hours, lash extensions are applied to every natural lash for the full experience. When classic is too light and volume is too much, let’s meet you halfway offering a little more boost to the classic look. A luxury upgrade of minx that feel lighter, softer with better retention.